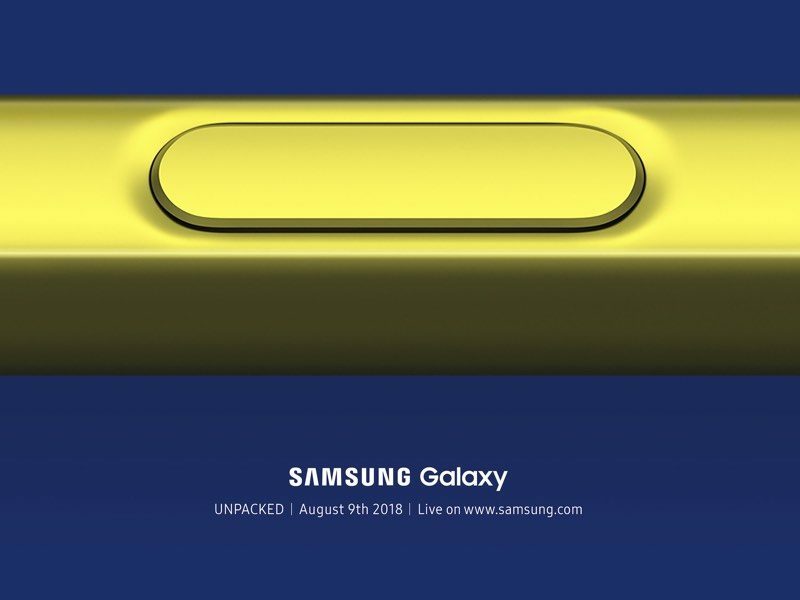 The Galaxy Note 9 launch will come just a month ahead of when Apple is expected to unveil its 2018 iPhones, which are rumored to include a second-generation 5.8-inch OLED iPhone, a larger 6.5-inch OLED iPhone that can be thought of as a sort of "iPhone X Plus," and a 6.1-inch LCD iPhone that will be more affordably priced. Rumors suggest the Galaxy Note 9 will not feature a notch, and that it could have slightly smaller top and bottom bezels than the Note 8, resulting in a 2mm smaller chassis. It is also expected to feature S Pen improvements, and while early rumors pointed towards an in-display fingerprint sensor, it's not believed Samsung is going to go this route. It was Samsung's Galaxy Note line that was subject to intense scrutiny after 2016's Galaxy Note 7 was impacted by faulty batteries that caused fires and injuries to multiple people. Samsung eventually had to recall all Galaxy Note 7 devices, which were also banned by airlines. Samsung decided to continue on with the Note line through 2017's Galaxy Note 8, which suffered from no major problems. Isn't this a normal release time for Samsung? So, business as usual makes the front page news? It will be an explosive success. I love the Note line... love my Note 8. Will wait and see if there is enough different to push me to upgrade. There really isn't anything about the Note 8 I'm not happy with, but rumors are they are making improvements to the camera... will wait for comparisons. Yep, I love when the haters complain about Apple's notch but use Samsung phones with screens that aren't even a flat plane. I understand why the notch exists, but I don't understand why Samsung curved the edges of their screen. The part that is curved on this device is behind a bezel on Apple phones. If you don't care for it, then don't buy it. This forum is unbelievable. Which is it? All I hear is Samsung just copies Apple. But if they do something unique, you want to compare it to Apple? There is nothing about the Note line that is remotely similar to any Apple phone. Samsung moved to releasing theirs before which hasn't worked so well. They get a day of press before Apple owns every headline out there the following weeks until after the iPhone release. They get completely lost in the news cycle. It'd be much smarter to move theirs until 6 months opposite Apple, in order to get the most visibility possible. Did you even read the article? They are releasing the Note 9 in the same cycle they did the Note 8. They haven't moved anything up or back. They release the S line and Note lines at different times of the year, and specifically not at the time Apple is announcing theirs. Seems smart to me. What should we put on the teaser banner? Really? Not one of the new features or exiting innovations? No no. People really want to see what the button looks like up close with a macro camera. Why would you want a dumb OS on a pro device? Galaxy Note series have had split screen and background multitasking since like 2012 which the iPhones still lack in 2018. The only manufacturer on Android who doesn't copy Apple nowadays. The Note is an outstanding piece of hardware. Didn't Samedung learn from the last time they moved a release up? I heard the results were explosive.